Love! It’s just right. And so much evergreen interest. I love when people design with winter in mind. the stonework and draping rosemary are a nice foundation too. Beautiful! 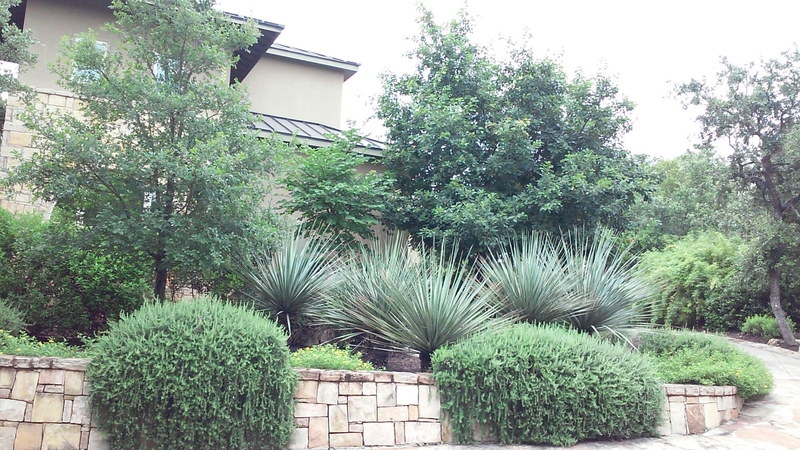 The Stone hardscaping mixed with the perfect combination of trees and Yuccas is so pretty. Lots of texture and different green / silver color variations.